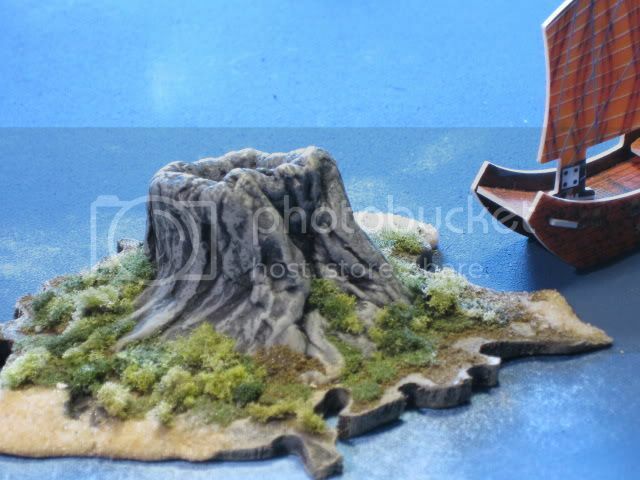 Anyone have photos they want to share of the gameplay, special game pieces, their collection, islands or other stuff game-related? 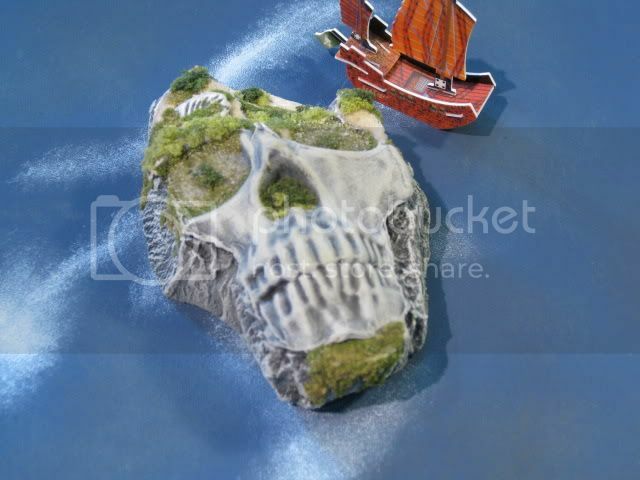 I know boardgamegeek.com has a ton of game photos from Pirates. Anyone willing to share? My stuff is shared mostly through my site, but I did upload a large chunk to BGG as well. I've got a shipment of specials coming that I'd gladly share photo's when they come. I took this one about six months ago along with several others, but didn't upload any of them to BGG because the lighting was bad and the color came out funny. This is the only one that actually looked decent, and only because the camera flash accidentally went off. It's a little blurry and I've been meaning to re-do it, but just haven't had the chance. The "water" effect comes from putting a glass cutting board on top of a pillowcase. If you look closely at the sea monster you can see it has been "edged" using colored Sharpies. I've done most of my sea creatures and submarines like that, but haven't bothered doing it with the majority of other ships because it's so time-consuming. I'll post pictures before Christmas when my 3D ocean is done. I have sketched out some (I think) really cool island designs for my 3D ocean with some original ideas. I've also had another original ocean idea I haven't seen on any Pirates sites (here, BGG, Pojo, etc) that I think will capture some imaginations. Also, I have a new campaign I`ll post. It kind of takes Woelf's Catan idea, Sariouriel from Pojo's CotE campaign, many cool house rules, and tosses them into a new spicy and original package. Y'all will just have to be patient. Is the island custom made? They were actually a birthday present from my wife a year or two ago. After I spent many months looking around trying to find something suitable, she found these through a friend of a friend or something - I really have no clue where they came from. 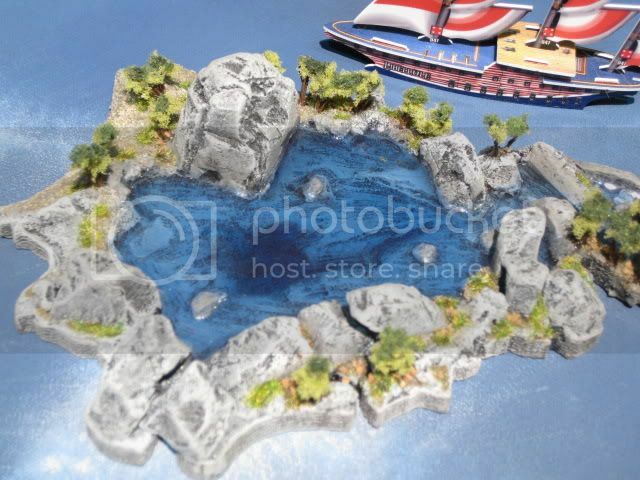 The island is from one of the Gale Force Nine sets. They're a little pricey, but are really nice. Everyone that plays Pirates seems to love the Turtles UT. Here's some various bits that might be of interest. Again, most of you probably have seen all this. But for those of you who don't go on Pojo. I've been poking around on photobucket and deleting stuff. So you might find the odd link gone. Do you find most of these supplies at a hobby shop or a crafts shop? 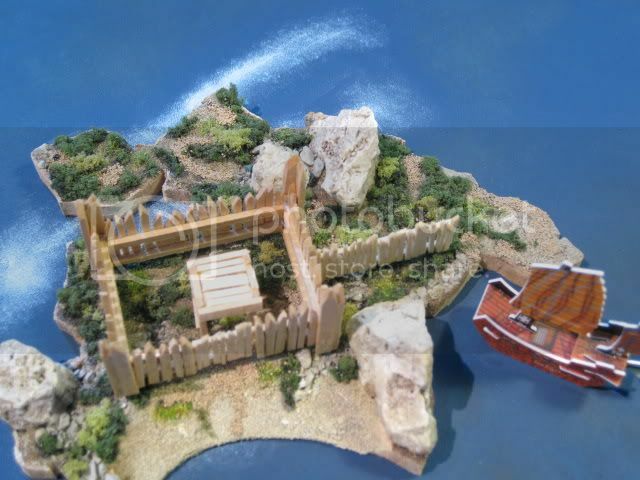 I was hoping to make a large island that's actually to scale with the ships, where instead of exploring individual islands, you explore the baeches and coves, and to mark it as explored, you would have little docks put up. 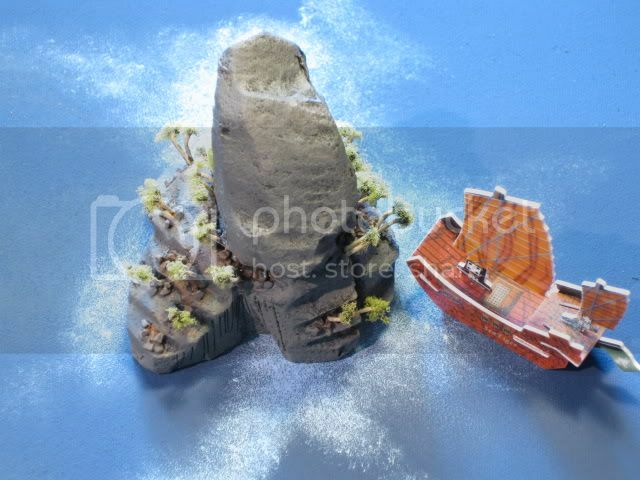 You should be able to find all of the stuff to make islands like these at a local hobby/craft store. 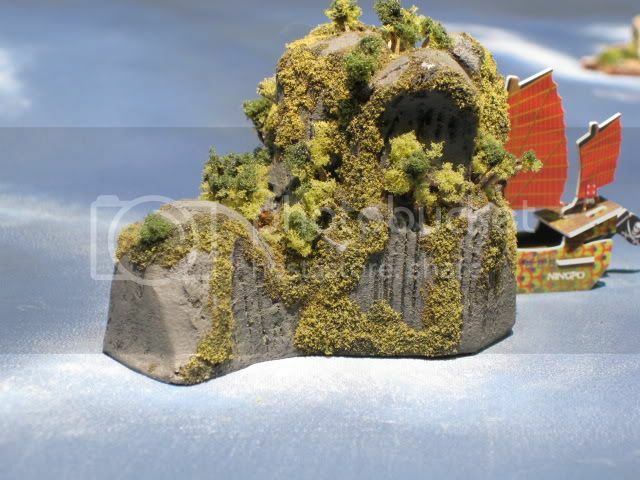 Though I think a scale size "island", or continent, may not fit in the suggested 3-3 foot ocean. I'd be up for that, though it may have to last longer due to construction. 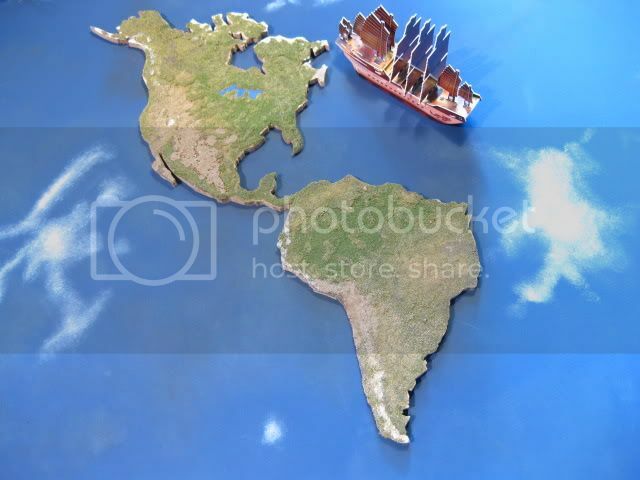 A continent most definitely would not fit, but maybe a piece of an island, or even sanbars instead of islands. A competition sounds good, even though I don't have any prizes unless I made them (airship anyone?). I'd love to participate in a new ocean contest. My expected completion date for my ocean is December, so if anyone wants to start one up please consider LOTS of lead time in the contest.